"After all this time? Always." To reblog on Tumblr, go to Sherbot. June 30th is the anniversary of Albus Dumbledore’s death, so we’d like to take this opportunity to remember some of the wise words of the beloved former Headmaster of Hogwarts. In doing so, you can choose your top 5 favorite quotes from the poll below. 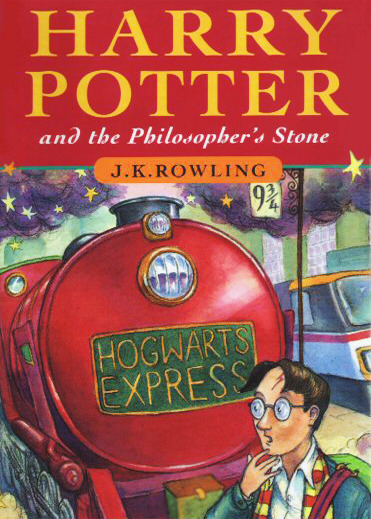 On June 26, 1997, Harry Potter and the Philosopher’s Stone was published. Doesn’t it seem so weird, knowing that 15 years ago, you didn’t even know about this story that would change your lives forever? Harry Potter has definitely defined a generation, and back then on this day, you couldn’t even being to imagine what it would become. I was only 1 when it was released, so I don’t remember anything, obviously. My mom started reading Harry Potter to me when I was 6, and it was the first chapter book I’d ever read on my own. Tell us your thoughts on how it feels to know this all started 15 years ago! Doesn’t seem like it’s been that long, right? Happy 15th anniversary Harry Potter! And thank you so much, Joanne Rowling, for changing our lives. Battle of Hogwarts. Never forget it and never relive it. Just always remember it. Our friends at myHogwarts had created a documentary last year about the battle that killed Voldemort. 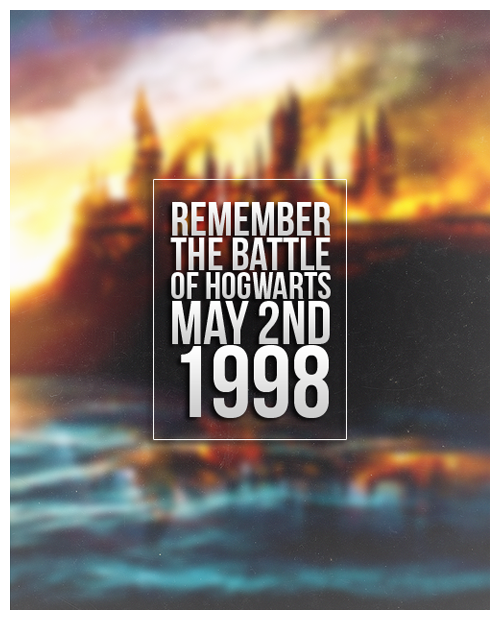 If you haven’t taken a look at the documentary, then today would be a great day to do so as we remember the anniversary of The Battle of Hogwarts. On May 2nd of 1998, Harry Potter defeated Lord Voldemort on the grounds of Hogwarts School of Witchcraft and Wizardry. We remember this day by celebrating and remembering the lives of the many who lost their lives during those dark times. “We were given these. The serial numbers changed to reflect the date of the next meeting. Neville still has his… shows it to his students from time to time. I keep it to remind myself of what I was part of – something that should never be forgotten. May 2, 1998 – The Battle of Hogwarts took place and Voldemort was defeated. Tell us what your favorite moments were in the Deathly Hallows book/movie in the comments below.